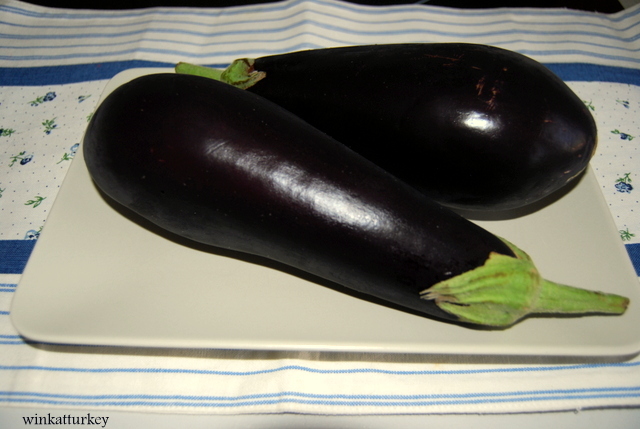 As I have already mentioned several times and, Eggplant is one of the favorite foods at home, we love. 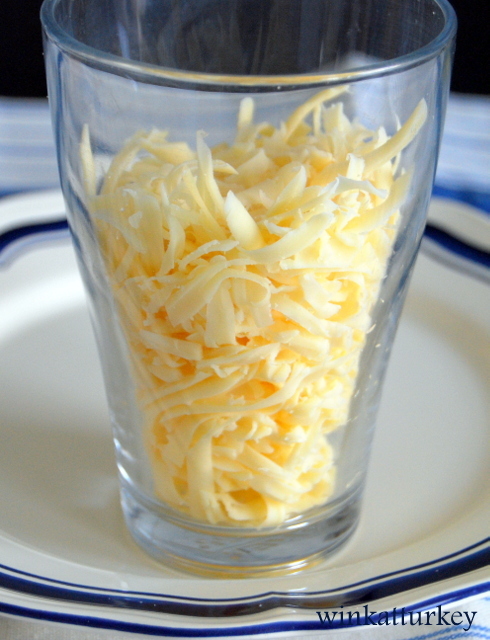 And this recipe is very simple to make and the result is really good. Try it, sure your guests will be surprised! 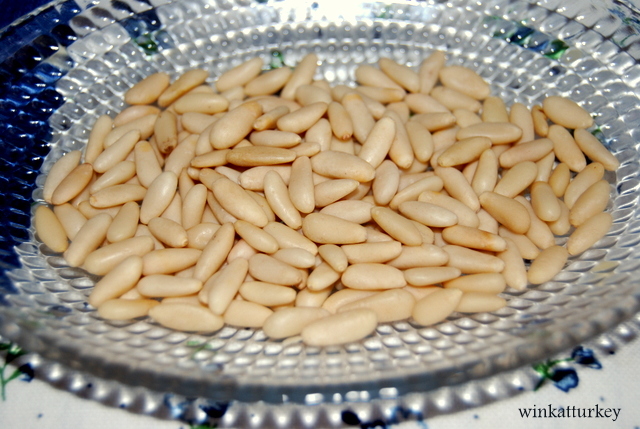 – 2 tablespoons pine nuts. 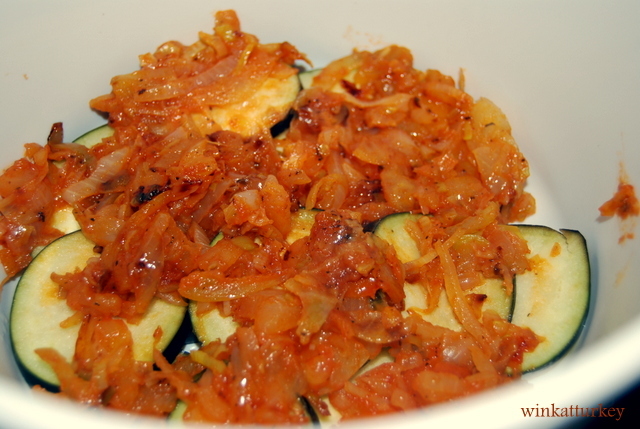 – 1 tablespoon of tomato concentrate. – 2 slices of stale bread. 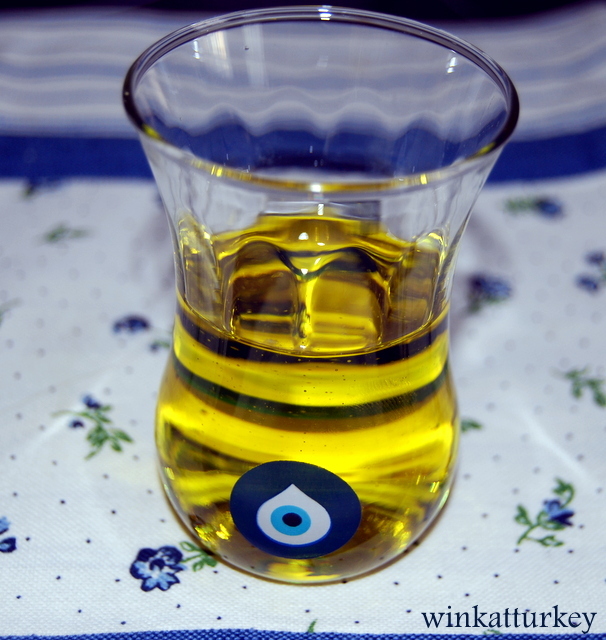 – Olive oil (1/2 cup of tea). – Salt and black pepper. 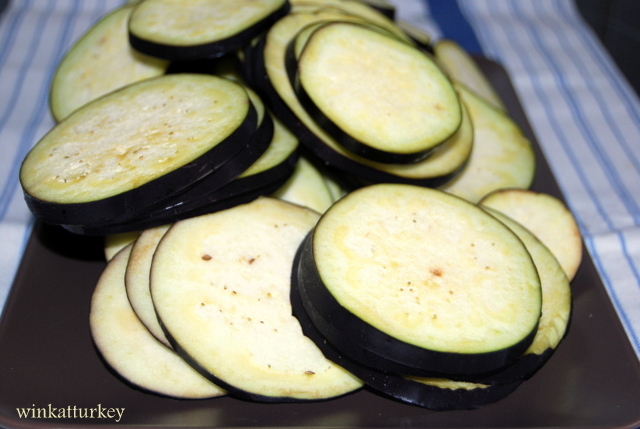 Cut the eggplants, unpeeled, sliced 1/2 cm approx. To remove the acidity put them in salted water for about 15 min. After this time, drain them and dry them well. In a nonstick skillet brown them a little pinions, them out and reserve. 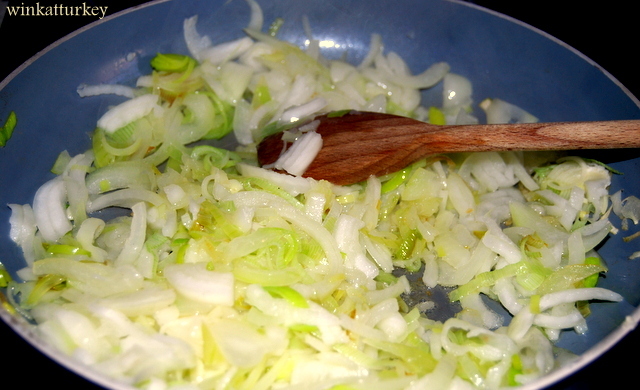 Finely cut leeks and onions. Peel the tomatoes and chop. 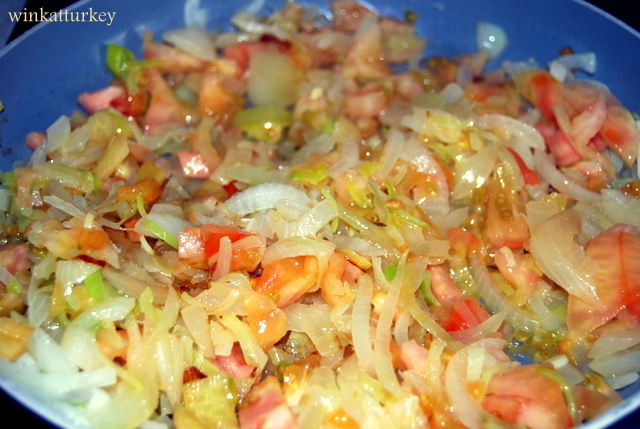 Add the 1/2 oil to a pan and fry the onions, leek and tomatoes. Add salt and ground black pepper to taste. We take now tablespoon tomato paste and stir well. 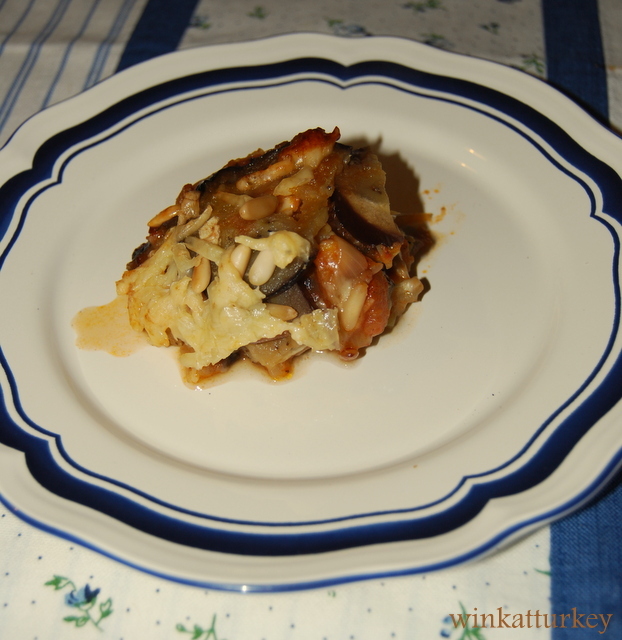 In a deep baking dish place a layer of eggplant and coat lightly fried vegetables over and now the hard bread and grated cheese. 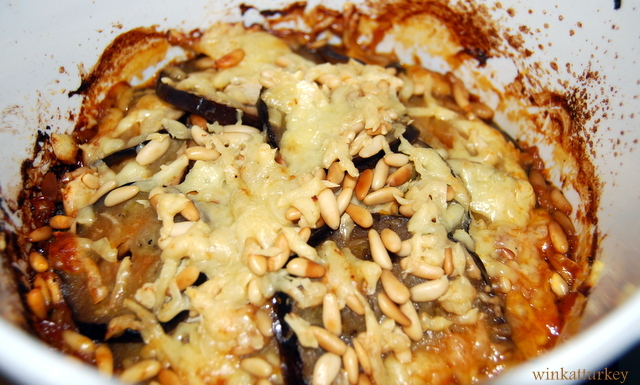 Again a layer of eggplant and other vegetables and checked over again, bread and grated cheese. So until we run out of ingredients. 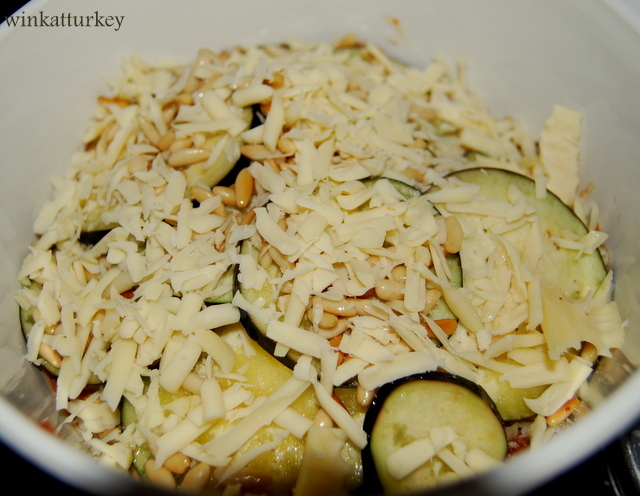 The last layer, add grated cheese and pine nuts. We take the oil that is left over and put in the oven, that we will preheated above, at 180 ° C until the eggplant is tender. I recommend while in the oven, keep covered with foil to prevent burning excess cheese and pine nuts.